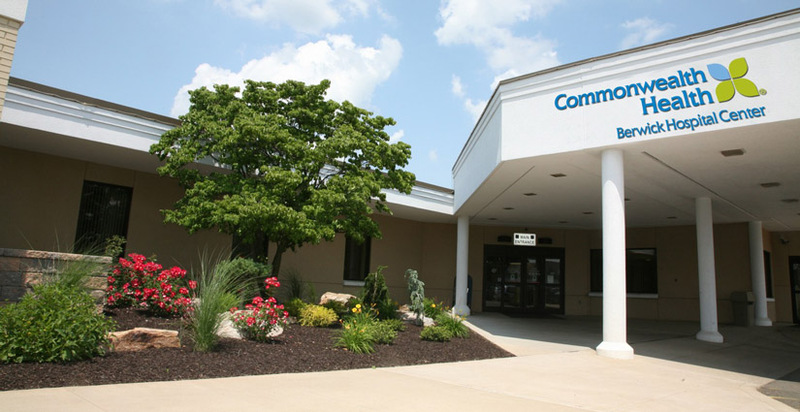 Berwick Hospital Center is a 90-bed, acute care facility in Columbia County, where technology and skilled professionals come together to provide compassionate, patient-focused care. The hospital has cared for the people of Berwick and its surrounding communities for more than 100 years and offers a range of health care services including inpatient, outpatient, medical, surgical and emergency care. Patients arriving at Berwick Hospital emergency department showing symptoms of stroke have immediate access to the county’s top neuroscience specialists through the Jefferson Neuroscience Network. This collaboration connects Thomas Jefferson University Hospital, Philadelphia, with all Commonwealth Health hospitals. Our pledge is that a clinical professional (physician, physician assistant or advanced practice nurse) will work diligently to have patients initially seen within 30 minutes of their noted arrival. In response to the unique needs of older adults, we have developed a specialized inpatient behavioral health unit providing short-term psychiatric treatment for those aged 55 years and older. Berwick Retirement Village offers quality care for those who may be in need of a short-term stay while recovering after surgery, or following an injury or illness. We also serve those who may require a longer stay due to a more debilitating injury or illness.